Office 365, SharePoint, Project Server - Consulting, Development, Customization & Support specialist. Experience in: #Office 365(Exchange,SharePoint,Lync, Office 2010)...Read moreOffice 365, SharePoint, Project Server - Consulting, Development, Customization & Support specialist. Summary: I have 11+ years of over all experience on implementing Microsoft technologies mostly SharePoint, Project Server,Dynamics CRM. 6+ years of Office 365 consultation and support experience. Summary: MBA and B.Sc(Hons)in Computing & Information System. 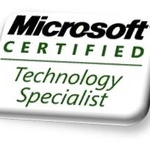 I am a Microsoft certified SharePoint administrator. Always a pleasure working with Ashraf. Ashraf completed the project within the required time. He clearly understood the brief and quickly became part of the team with the added help of Skype and Teamviewer. Asraf was reliable and did EXACTLY what he said he was going to do. I strongly recommend his services for SharePoint MOSS work.